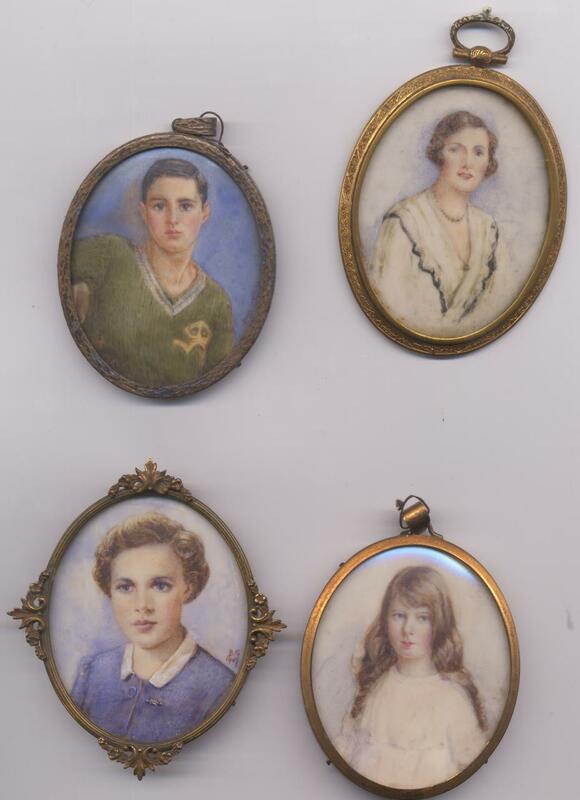 The two miniatures on the left of the top photo were painted towards the end of Bess Goldings’ life. 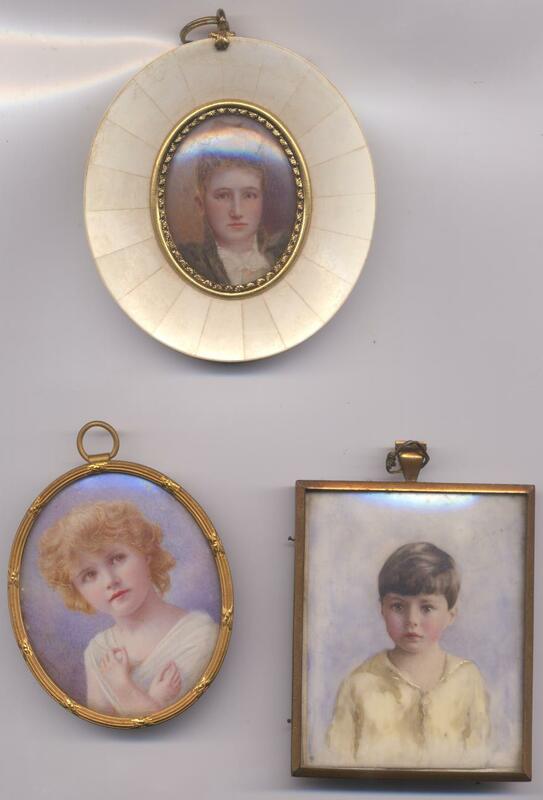 My father is painted as a young boy in the bottom right miniature of the group of three. This post is something different for me and perhaps I should have added it to the “Travel” Category as I shall be visiting Australia this year and I’m so excited about the whole event! But there is a reason why I am blogging a travel story before I travel. 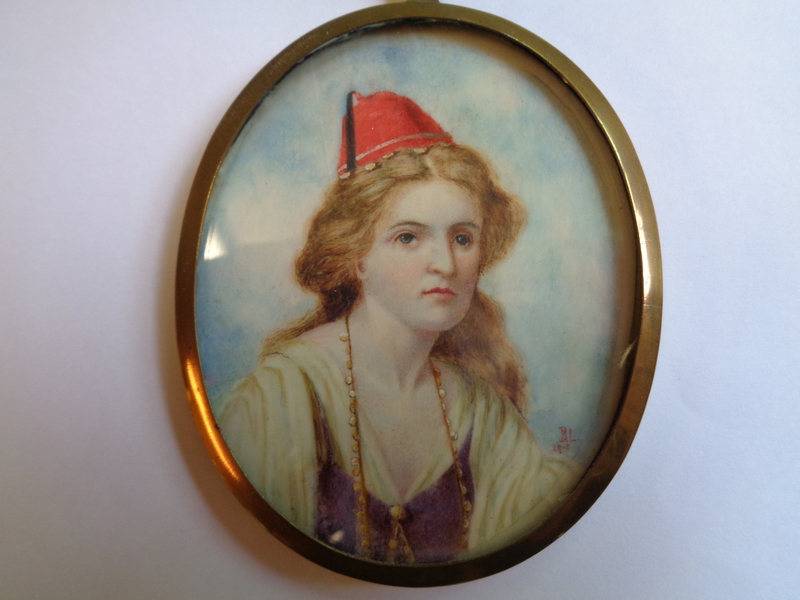 One reason for our visit is that my paternal grandmother Bessie Golding lived and worked as a miniature artist in Melbourne Victoria. I would love to find out if anyone knows of her work or even has an example hanging about somewhere! I know its a very long shot! Bess Golding left England in 1914 with her two small children to follow her husband who had travelled ahead. Sadly her husband died soon after she and the children arrived, and she was left to bring up her family alone. The small family lived in the Kew area of Melbourne, Victoria between the years 1914 to 1936, and moved to various addresses in Kew and Yarra whilst there. My father attended the local Trinity School Kew. 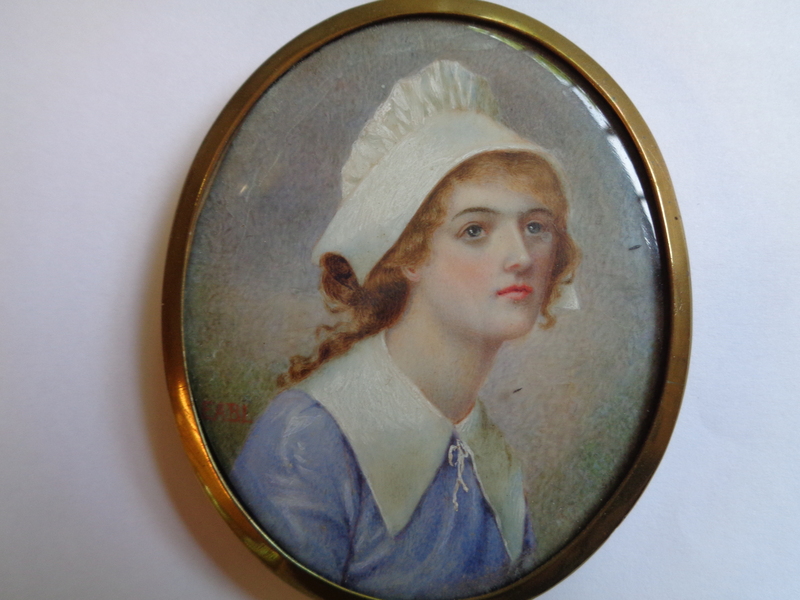 She had many miniature commissions, and in 1925 one from the Countess of Stradbroke in Melbourne. Bess also held several exhibitions of her work, one in the Oriental Hotel Collins Street alongside another artist Margaret F. McLean, and taught art at the Margaret College. Bess Golding made her living painting miniatures of children but was also was a good water colour artist. Unfortunately I do not have any of her water colours. I know a few pieces of her work have gone through Australian sales rooms so I am really hoping I shall have some luck with this ” shot in the dark” as it were! Since writing the above I have had a bit more information given to me by my youngest sister who has inherited my Grandmother’s artistic genes and knows far more about the subject than me! Apparently Bess Golding was a contemporary of these three in who’s work she was especially interested: – MJ MacNally, Harold Herbert and Rowland Hilder. I have also found this news clipping where Bessie is mentioned in paragraph 5. If there is anyone out there who can help, it would be amazing.